Cruiser bikes are basically those rides which are designed so as to endow a ruler’s feel over the streets. The seating posture, which is the main objective of this bike is made to deliver the comfort which no other category bike will confer. The vision position of the rider will always remain sighting high. During the times of 1930 to 1960, the motorbike design of the American Machines inspired many bike lovers which carted a new name in the motorcycle industry, called Cruiser. The bikes based on this design were manufactured by Harley Davidson, Indian Motorcycles, etc. companies. The rider’s position on this kind of bikes remains unconventional to the regular bike or sports bike. With a straight or slightly forward bent spine position, rider’s feet remain close to the front end of the engine resting over a big footrest. The arms widen up to hold the steering. These bikes are generally low in height with rider sitting at a much lower position over a saddle inspired pillowy seat. Touring for long distances, turns to be a comfortable deal with these bikes. What Bike are Roaming Around? There are many cruiser bikes available in the country which are specified at a starting engine displacement range of 220cc. This range goes beyond 2200cc which means the thirst for the Tashan bikes is raising here at its best pace. Successively, many cruiser bike manufacturers have landed in the country with either CBU vehicle or with completely desi made products. As far as thirst to perform and comfort are concerned, these bikes bring a perfect blend of both these features in one unit. Out of many supremos running in India, few are described here which are few of the best when the inter-locution is about euphoria, eccentricity and enthusiasm. Borrowed name from its birthplace, the Indian Springfield, a perfect blend of conventional touring and pure cruising, the motorcycle is a newbie in company’s product portfolio. Featured with quick release windshield and remove locking saddlebags, Springfield can transform from a tourer to the cruiser and vice versa in a snap. With lots of chrome work from tip to toe, it is adorned with advanced fitments like adjustable passenger floorboards, cozy leather seats, Anti-lock brakes, electronic cruise control, tire pressure monitoring, etc. meant for pure cruising on to long adventure trips. 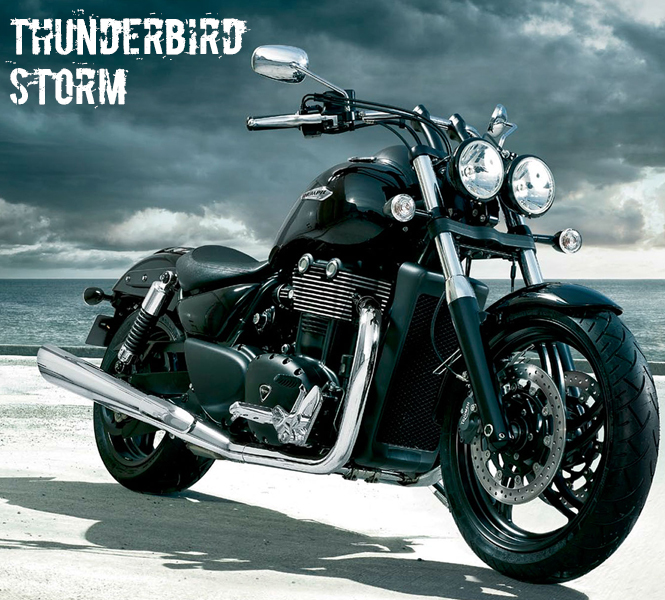 Bolted on uniquely designed chassis, trademarked Thunder Stroke 111 engine propels towering torque of 138.9Nm at 2600 rpm to conquer any kinds of roads in any weather. Priced competitive, all new Indian Springfield landed on Indian shores at the price tag of 30.6 lakh (ex-showroom, Delhi), in the last month of this year first quarter. Updated Heritage Softail is a classic American cruiser with lots of chrome work, white wall tires and traditional lines over the machine. Meant for comfortable riding, the motorcycle comes fitted with curved back handlebars, forward set footboards and large saddle while cruising on highways. 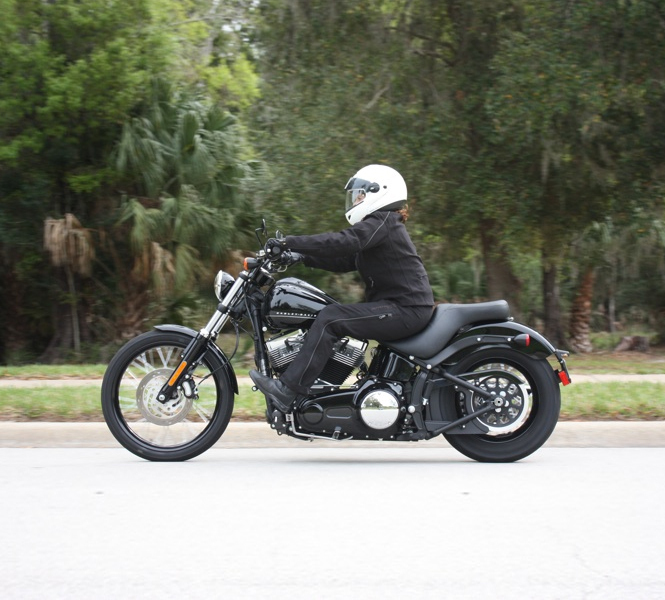 On mechanicals, Heritage Softail is underpinned with the similar V-twin, air cooled engine displaced from 1690cc. The capable engine assembly burns out monstrous torque of 130 Nm at 3,000 rpm for efficient performance. Moreover, furnished with additional features of cruise control,redesigned saddlebags, removable pillion seat pillion and detachable windshield, Heritage Softail, is available at the price tag of INR 6.89 lakh, ex-showroom. 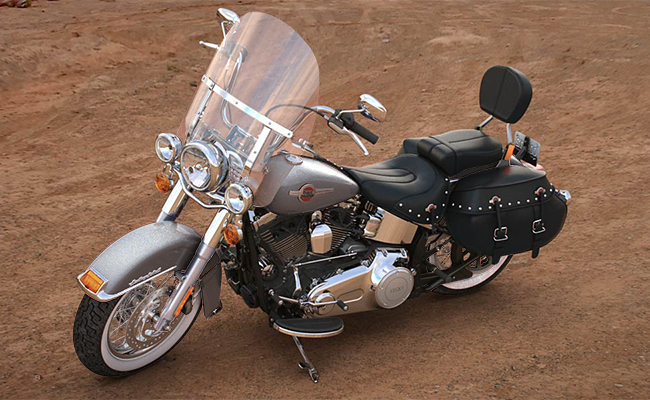 Harley Davidson is a brand which is hardly untouched to people’s knowledge. The name itself creates a picture of cruiser bikes in imagination. 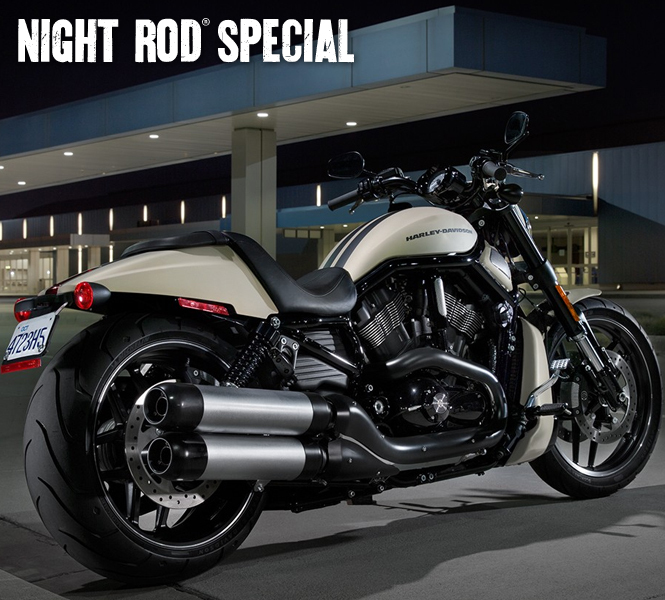 Out of many Macho looking cruiser bikes, Night Rod Special is the ultimate machine to serve the best purpose of cruising with style. Harley Davidson Night Rod Special is a super performer with 1,247 CC, V-twin engine developing 125 BHP @ 8250 RPM. This engine churns out 111 Nm of Torque swirling at 7,250 RPM. It is available at Rs.21,92,000 ex-showroom. The bike is available at various yet limited outlets across the country. Triumph is a newcomer in the automotive industry of India. It has made a huge impact over the Indian crowd. It is a British brand and often considered when quality and thirst to perform are on talks. The Thunderbird storm sounds as well as looks heavy. The dual headlight mount gives it an aggressive look which is assisted with clear lens blinkers. The tough and bold shaped front forks boost the design of the bike. This, all dark hued machine is constructed with chrome dual silencers which are placed connected to a 1699CC V-twin engine. This engine is made to churn out 98 PS @ 5200 RPM of power along with 156 Nm of torque at 2950 RPM. The transmission is mated to 6 speed with helical type 2nd to 6th unit. It is fitted with standardized ABS to deliver complete control. Indian is the name, but it is not the same (India-n). 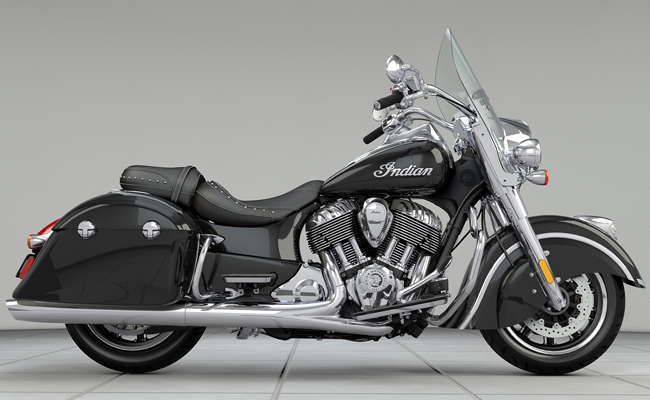 The Indian Bikes were originated from Indiana which were brought to India as well in the recent past. The Indian Chief Vintage bike is styled in cowboy pattern with a number of leather strips fluttering from the seat and baggage. A big windscreen, vintage looking mudguards and muffler, make this bike apart from the crowd. 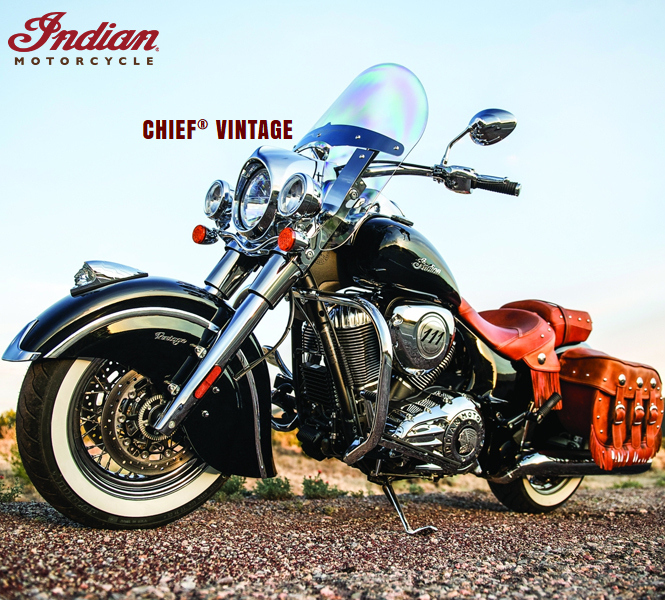 Indian Chief Vintage is powered by a 1,811CC V-twin engine which produces best 138.9 Nm of torque. This much torque can pull the bike to extreme performance. The engine is all chrome and looks mighty with the company’s logo. Its tank is mounted with speedometer and other such parts while the front mudguard is topped up with “war bonnet” which looks great. Suzuki has played many roles in Indian film industry and is playing the same on real scenarios. The Intruder M 1800R Boss Edition is one of the most happening machines Suzuki has ever made. The bike is available in various eye catching colour combinations with a base matte black foundation. A lot of chrome has also been used over some parts, which includes stands, engine and brakes. The 1783CC V-twin DOHC engine is powering this bike. The engine is inclined with its cylinders at 54 degrees. Transmission unit is matted to 5 speed gears which powers the bike to extremities. It is available for Rs.16,45,000 ex-showroom Delhi.